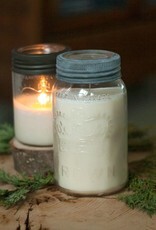 HANDMADE MASON JAR SOY CANDLE. 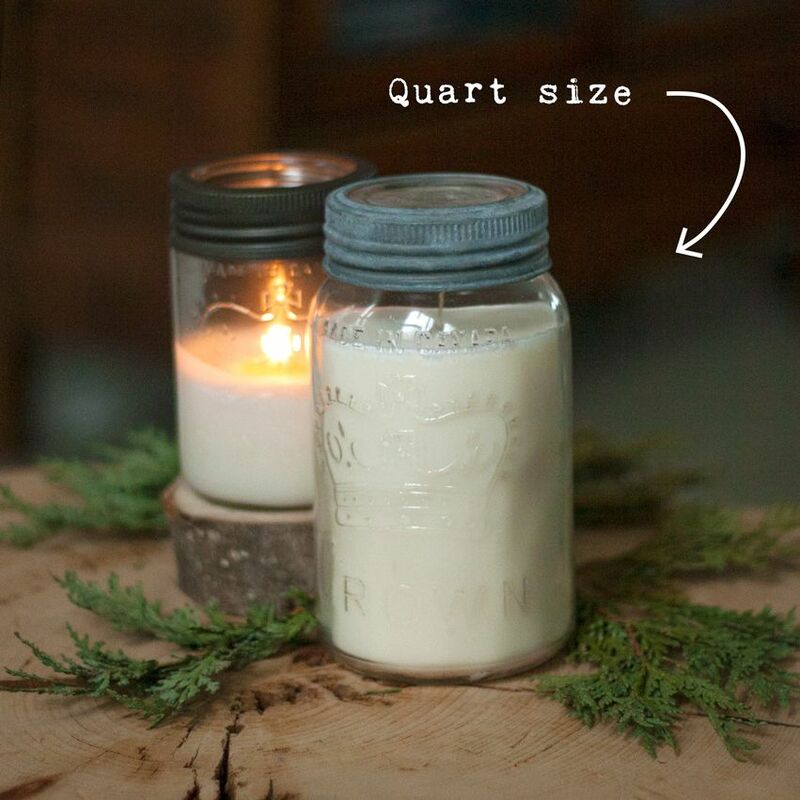 Dimensions: 600g candle in a quart size mason jar (approx. 3.5”dia 7”h) – only large size available on-line. 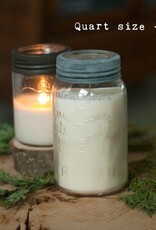 As these are found vintage jars they will vary in style, brand and shape. All clear glass. Brands could be Crown, Gem, Corona or Jewel. 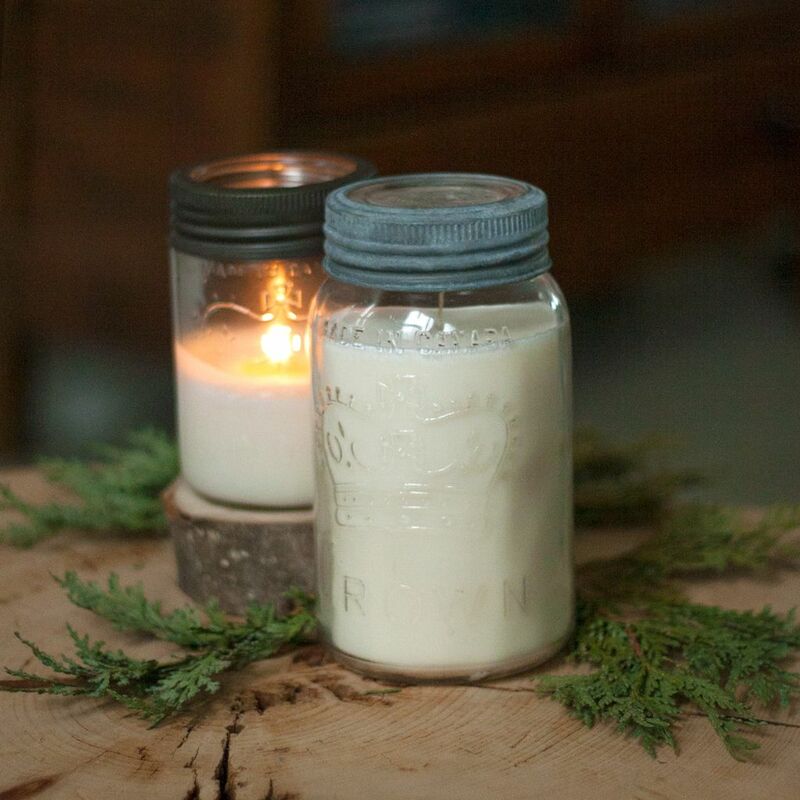 Several scents available. See drop down for current collection.